TSPI Executive Director Eduardo Mendoza welcomes the first batch of clients and staff to the record keeping seminar held at the TSPI head office. 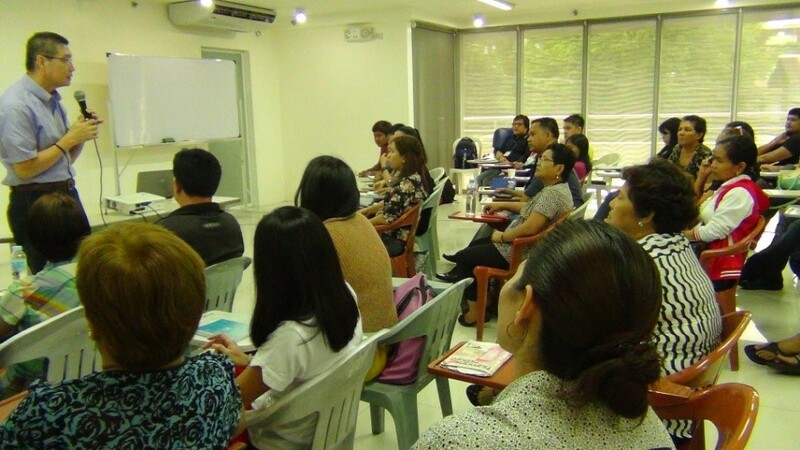 Last June 20, 2014, TSPI held its first Record-Keeping Training Seminar, with the objective of teaching the participants a system in tracking and computing for their sales, expenses and income for proper financial management. was organized as part of TSPI’s effort to help clients grow their enterprises. and Supervisors were also encouraged to attend the learning event to refresh their knowledge and skills. 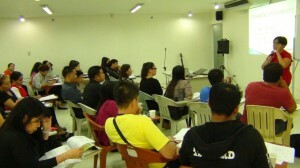 A total of 48 participants attended the seminar, 19 of whom were clients from the National Capital Region (NCR). Considering that the participating clients had very little accounting knowledge, the seminar was paced in a way that even beginners could comprehend and follow. The participants learned about Basic Accounting Principles and Financial Statements, Transaction Analysis, System for Record Keeping, and the Accounting Cycle. At the end of the workshop, the participants brought home with them not only certificates of participation but new information and skills they could apply to their businesses. Was the seminar worth it for the clients, and even for the staff? Ms. Maria Rowena Flores Diaz, a consultant from the Philippine Trade Training Center (PTTC), the training arm of the Department of Trade and Industry (DTI) was the facilitator and resource person for the whole day workshop. Ms. Diaz, who is also an entrepreneur and an accountant by profession has been training small entrepreneurs for 14 years. Management Services, Discipleship and Training and the Planning and Business Development Department. This article was contributed by Ma. Christine Ann Salazar/Freelance Writer.